A spread of D'Bali's colorful, flavorful Southeast Asian fare. Diners at the recently opened D'Bali Asian Bistro are welcomed not as valued guests, but in a manner more befitting beloved friends and respected family members of co-owner and chef Jeannie Choi, affectionately known as "Mama Jeannie." "If you look at the decor, the feeling we were trying to go for is that you are coming to her home, and everything has her fingerprint on it," explains Choi's close friend and the restaurant's marketing manager, Kelly Bishop. Framed black-and-white family photos are displayed around the Airway Heights restaurant. A large communal table near the kitchen evokes a family home's dining room. "It's like a typical Asian family — Mama is in charge of everything," Bishop continues, speaking for Choi due to Mama Jeannie's language barrier. "Nothing goes out of the kitchen without her inspecting it. She also runs the front of the house." Indeed, on a recent weekday evening, Choi is the only one on shift taking and bussing orders, and greeting and seating guests with a warm smile. She moves around the dining room and in and out of the kitchen with ease and efficiency, checking in frequently with each table all the while. D'Bali's menu is a mix of Southeast Asian and Pacific Rim flavors and traditional dishes, all with Mama Jeannie's personal touch. Though she's a native of South Korea, Choi's previous career in corporate hospitality took her across Southeast Asia where she was introduced to a range of regional cuisine. "Because regions over time start to become influenced from foods from adjacent cultures, there is a lot of blending," Bishop explains. 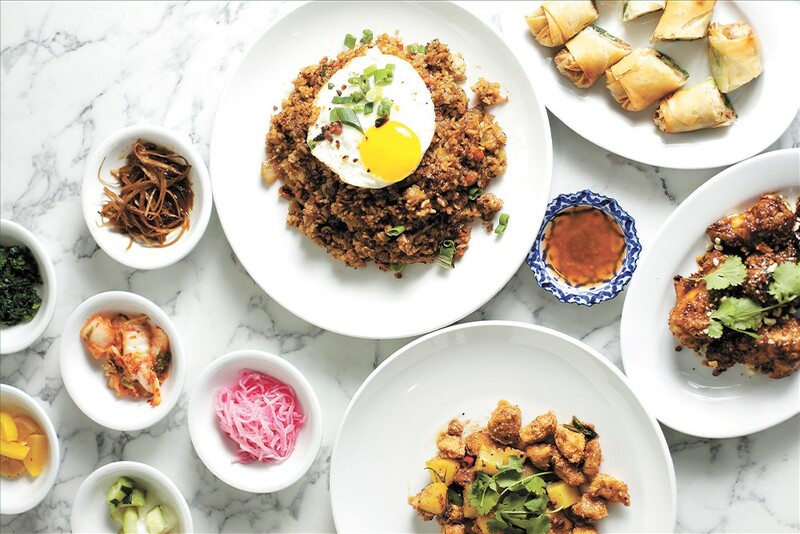 "We have dishes that are Indonesian and [from] Singapore, all closely replicated to the flavors she had there." 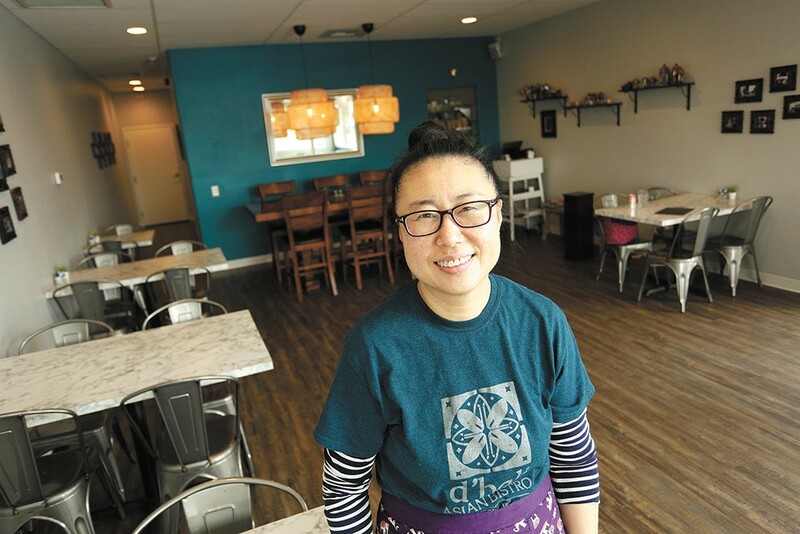 Choi moved to Spokane more than a decade ago, and finally realized her dream of opening a restaurant with her husband Tony when D'Bali debuted in mid-October 2018. The restaurant's name — a play on the French abbreviation d' meaning "of," (as seen in Coeur d'Alene) paired with the name of the Indonesian island Bali, where the Chois honeymooned — pays homage to both her roots and adopted home in the Inland Northwest. Located in a space just off of Sunset Highway's main drag through Airway Heights, D'Bali Asian Bistro is already quite popular with West Plains locals (military members and Alaska/Horizon Air employees get a 10 percent discount) and residents across the region seeking authentic flavors and homestyle preparation. Though it's only been open a few months, D'Bali was already recognized as the region's best ethnic dining spot at the Spokane Culinary Arts Guild's 2018 awards gala earlier this month. While the restaurant is not strictly Korean-influenced, each meal begins with a Korean tradition called banchan, which are various small side dishes served with rice. At D'Bali, banchan is complimentary, and the dishes served, usually numbering around six, rotate based on availability and season. On a recent night, Choi brings out dried seaweed flakes, pickled radish, steamed kale, her special kimchee and a few other pickled vegetables. "Those are served as a symbol of her hospitality," Bishop says. "In Korean culture, it's served as a means to stimulate your appetite." D'Bali's ranging influences — traditional and contemporary Chinese, Malaysian, Indonesian, Balinese, Thai, Korean and Indian cuisine — are recognizable throughout the menu in featured ingredients, flavor profiles and preparation. There's fried rice, stir fry, spring rolls, satay, soups, ssam-style lettuce wraps and more. Choi's famous chicken wing recipe ($8/six) is also featured as an appetizer (friends and family begged her to put it on the menu) tossed in a caramelized sauce and topped with garlic chips, cilantro and lime. Owner Jeannie Choi has lived in countries across Southeast Asia. Menu highlights that showcase Choi's culinary experience and commitment to scratch cooking are numerous, and include her boat noodle soup ($11), inspired by a traditional Thai dish and featuring 11 herbs in a rich, scratch-made bone broth. The Malaysian curry ($11), also popular, is described on the menu as follows: "our homemade baba-nyonya curry is sensational — you'll swear you're in a Peranakan-Chinese grandma's home!" The complexly flavored dish is served with sticky rice and a choice of protein, including organic tofu. "It's all made in the old traditional style in small batches; there is a reason it tastes really homemade and delicious," Bishop says of the curry. "It's smoother and has a significantly more silky texture, with more coconut milk used." Customers also rave about D'Bali's fall-off-the-bone Singapore-style smoked barbecue pork ribs ($16). The savory meat is served with a side of steamed greens and a small portion of thin egg noodles. The original print version of this article was headlined "Mama Jeannie's Kitchen"